I found this recipe on Pinterest. As soon as I read it I knew that I had to try them! These were very easy to make. The recipe can be found here. 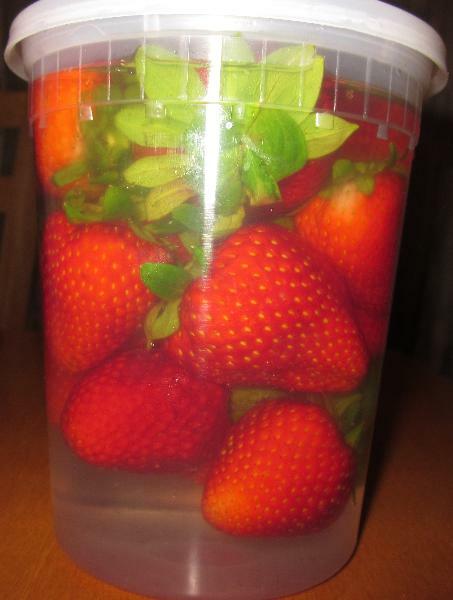 Put the strawberries in a container that has a lid. Fill with the chocolate vodka and cover. Soak in the fridge for at least 24 hours. After 24 hours take out the strawberries and pat them dry. Melt the chocolate in the microwave according to the directions. 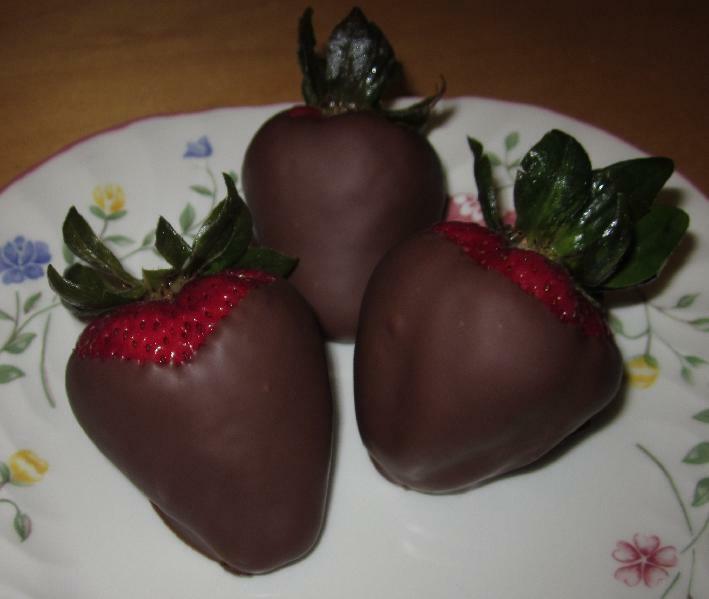 Dip the strawberries in the chocolate and place on a plate that is covered with wax paper. Place the strawberries in the fridge to chill/harden. 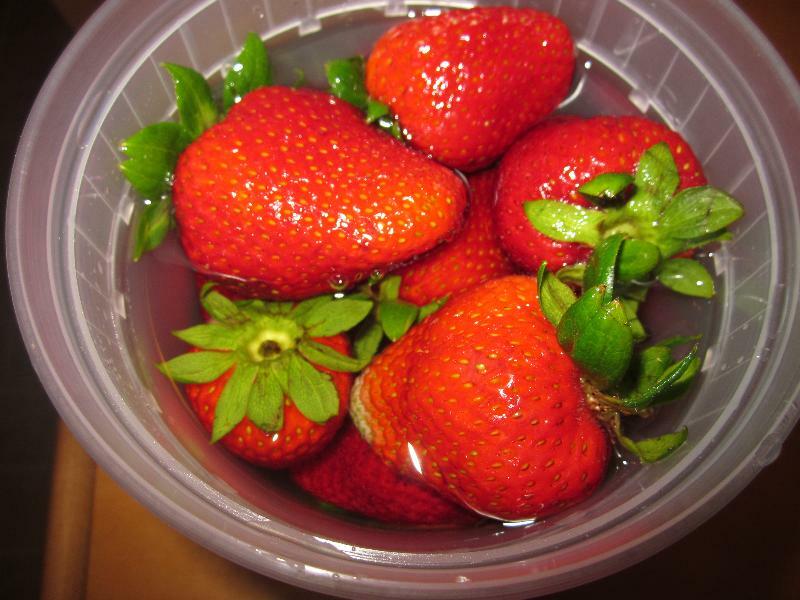 The strawberries in the container. Description: An adult version of a delicious and decadent dessert!